Everything seems normal at the Chernobyl power station, but it isn't. A safety test is supposed to take place, but the power levels are too low. Should the test go forward - or - not? An argument, amongst the operators, ensues. Then ... a wrong decision. Disaster is in the offing as reactor number four overheats. When the reactor's roof blows off, the crew knows they are facing a serious emergency. 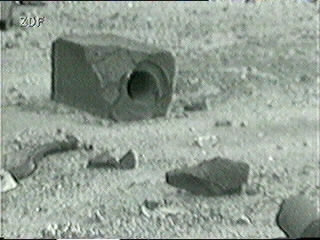 Five seconds later the core erupts, scattering debris - including a block of graphite used as a moderator and housing the control rod channel - up to three kilometers away. Released radiation is ten times greater than that of an atomic bomb. 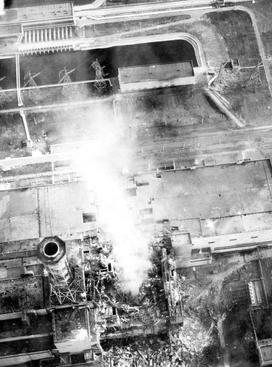 Combining historical footage, witness interviews and recreated scenes, this video clip - from the BBC documentary Fallout From Chernobyl - explains how the disaster unfolded. From the BBC documentary, Fallout From Chernobyl. Online, via BBC Worldwide's channel at YouTube. Copyright, BBC. All rights reserved. Clip provided here as fair use for educational purposes and to acquaint new viewers with the production. Bos, Carole "Chernobyl - What Went Wrong" AwesomeStories.com. Oct 07, 2013. Apr 26, 2019.